My weekend was successful, for the most part! Made kale chips, tried 3 new recipes, had 2 long runs (not 5 and 6 miles…but 5 1/4 and 5! ), lifted weights (once…oops), watched Food, Inc., watched Illinois BEAT Indiana (WOOT! ), and finished the “Recipes” tab*. Combine first 5 ingredients in a medium bowl. Combine orange juice, honey, and brown sugar in a small saucepan. Cook over medium heat just until sugar dissolves, stirring frequently. Remove from heat; stir in oil and vanilla. Pour honey mixture over oat mixture, stirring to coat. Spread mixture in a thin layer onto a jelly-roll pan coated with cooking spray. Bake at 300° for 10 minutes; stir well. Bake an additional 10 to 15 minutes or until golden brown. Spoon granola into a bowl; stir in dried cranberries*. Cool completely. Note: Store completely cooled granola in an airtight container at room temperature for up to 2 weeks. 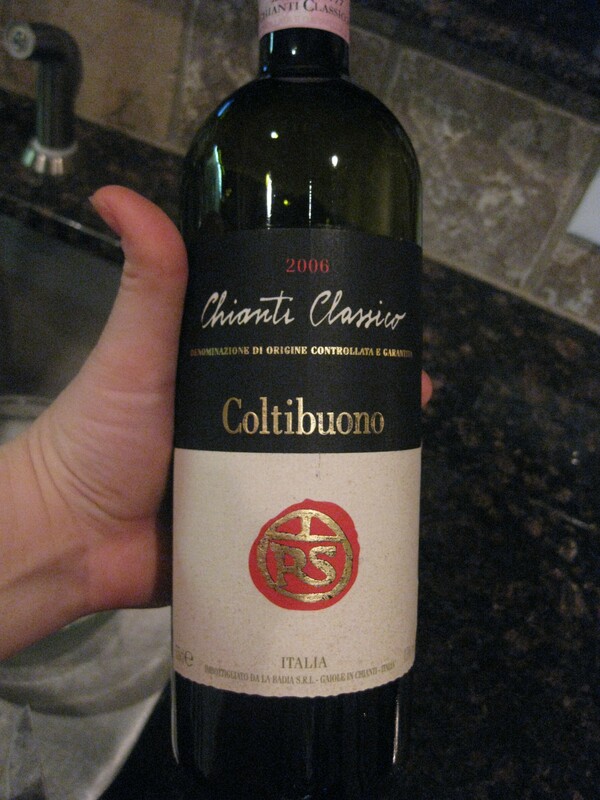 *I substituted golden raisins as I am in “Operation Pantry Clean-Out” mode. It’s DELICIOUS!!!!!!! So easy, too! Combine all ingredients in a saucepan and let come to a boil. Reduce to a simmer and cook uncovered for approximately 2 hours, stirring occasionally. The mixture will thicken and reduce a bit. 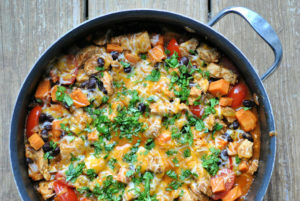 Jessica was so cute in her post yesterday, nearly insisting everyone tries this recipe! 😉 I had everything on hand, so I gave it a go. And, I give it a BIG thumbs up! It was the perfect addition to leftover brisket! Thank you, Jessica! Cut bell pepper in half lengthwise; discard seeds and membranes. Place bell pepper halves, skin sides up, and whole plobanos on a foil-lined baking sheet. Broil 10 minutes or until blackened, turning poblanos to blacken on all sides. Place peppers in a zip-top plastic bag; seal. Let stand 10 minutes. Peel. Finely chop bell peppers. Cut tops crosswise from poblanos; remove seeds. Heat a large skillet over medium-high head. Add oil to pan; swirl to coat. Sprinkle shrimp with 1/4 teaspoon salt. Add shrimp to pan; cook 3 minutes or until done. Remove from pan. Add garlic to pan; saute 30 seconds, stirring constantly. Sprinkle with flour and ground red pepper; cook 1 minute. Slowly add half-and-half, stirring with a whisk. Stir in 1/2 cup milk; cook 1 minute, stirring constantly. Remove from heat; let stand 2 minutes. Add cheese and 1/4 teaspoon salt, stirring until smooth. Place 1/3 cup cheese mixture in a large bowl; reserve remaining cheese mixture. Add bell pepper, shrimp mixture, cilantro, and lime juice to 1/3 cup cheese mixture in bowl; toss to coat. Stir 1/4 cup fat-free milk into reserved cheese mixture. Spoon 3 tablespoons cheese sauce onto each of 4 plates. Spoon 6 tablespoons shrimp mixture into each poblano. Place 2 stuffed peppers and two tops on each plate. *I used cooked shrimp and defrosted them ahead of time. I sauteed them for approximately 1 minute in oil, as to not over-cook and simply heat through. This dish was EXCELLENT! It’s not quite a meal, but certainly more than an appetizer, so I’m going with a light meal 🙂 I recommend making this when you have time, and be sure to do the prep work ahead (chopping, squeezing, thawing, etc.). 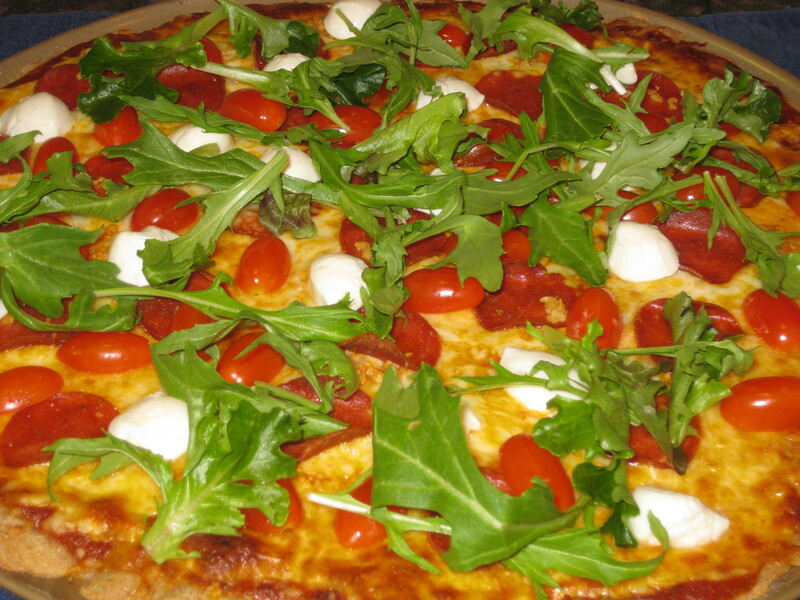 Last night, we had a “comfort” dish from our days in Italy — we re-created our favorite Italian pizza…the Sacro Monte. Yesterday we took Lily on a long walk in the FREEZING cold. As a joke, I dared hubby to wear his HUGE hat from Russia. He agreed, and talked me in to doing the same. 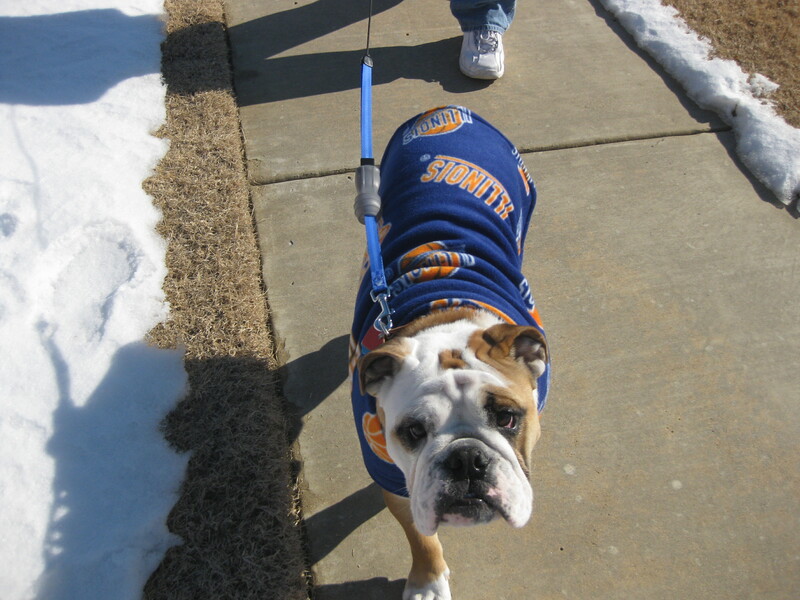 So there we were, in Tulsa, with our Russian hats, walking our dog wearing her Fighting Illini basketball coat…it was quite the sight! Lily in her Illini jacket! How was your weekend? Did you try any new recipes or fun, delicious foods? Have you ever made homemade granola? ‘Cause you should! Would you laugh at passerby’s wearing Russian hats? I would! « Soap boxin' and kale chip rave! 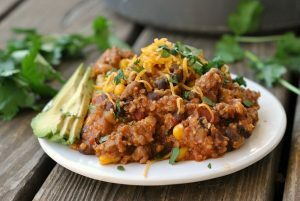 I’ve never heard of a Poblano pepper, but your recipe looks so good, I may have to find out! I have been spending a lot of time in the kitchen experimenting with gluten-free variations of my favorite recipes. I miss gluten 🙁 But I am excited to be discovering some things I never would have tried before. Polenta, for example, is a new favorite! I have never made granola, but you are right, I should. I love all the food in this post! 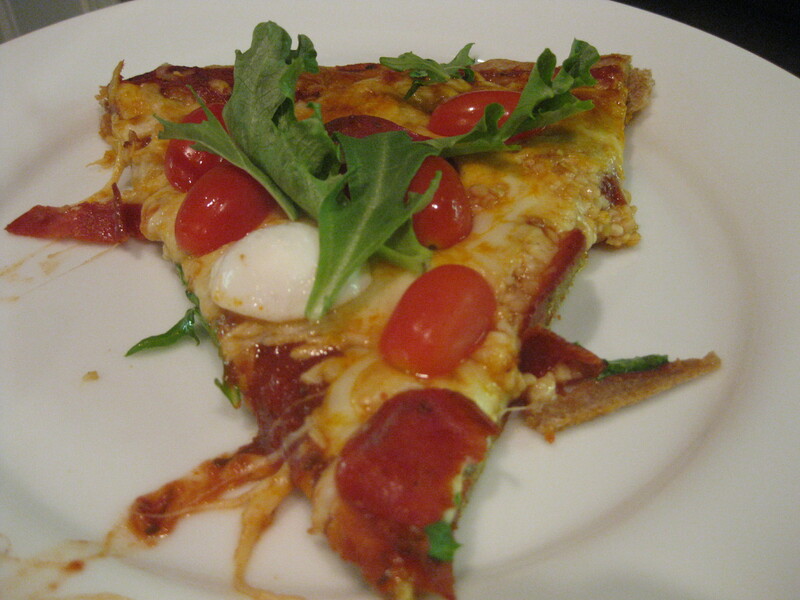 Very yummy dishes esp the pizza looks very delicious and so colourful.. I love homemade granola!! 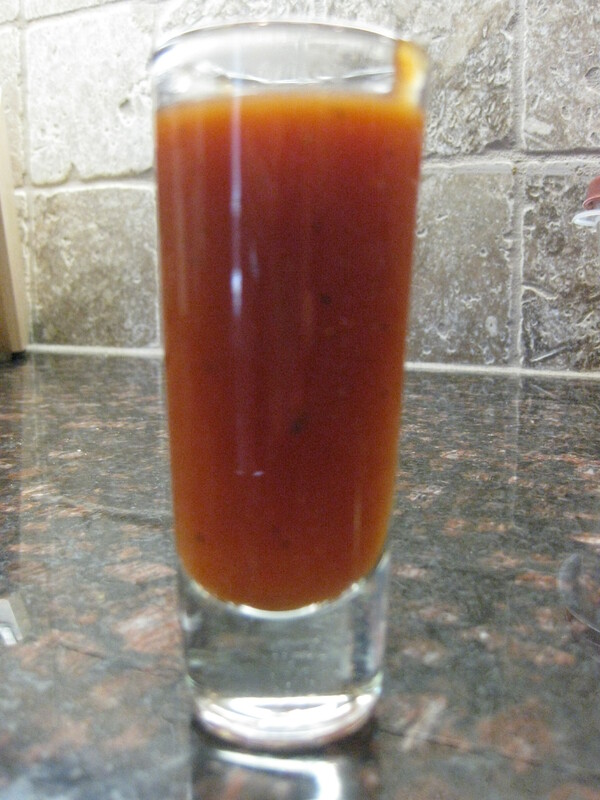 I have a recipe from Alton Brown that I use– it’s amazing! I’ve never made homemade granola but I want to! We had Ethiopian food this weekend! I’ve had it before, but I love it, so yummy! I made homemade granola last week, and I’m a convert for life, never buying it again! And the hats, well my brother has one and I have some silly hats too, so I think it’s fun! Glad you had a nice weekend! wow that granola looks great! 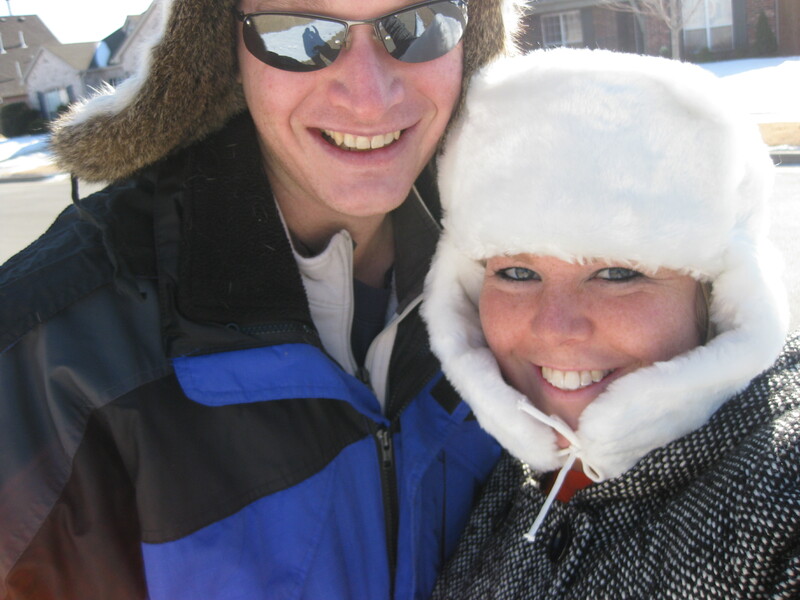 LOVE that hat.. u look like a snow bunny! I made homemade pizza for the first time Friday and I must pat my shoulder!! I found a whole wheat crust recipe and topped it with chicken sausage, turkey pepperoni, green peppers and low-fat mozzarella cheese. Really tasty! hahaa I laughed out loud looking at your russian hat photo!!! but those things are totally necessary in Chicago right now. yesterday it was 2 degrees downtown!!! I bet you don’t miss home with weather like that! I have actually never made granola….always wanted to, though! It’s on my list, for sure. I never buy it because it’s so $$$! I didn’t try any new recipes this weekend, but I’m trying two (!) new ones tonight. One of them is a new (to me) sugar cookie recipe. Can’t go wrong with that, right?? hahaha and yes I’d laugh at the hats, but secretly I’d be jealous because they look super warm! Great weekend workout! I usually get a little lazy on the weekends and am lucky to get in a good run or yoga session. Your granola recipe looks like something I want to test out! All the food looks amazing. Your hubby is one lucky guy! Lily is super cute in her coat. Stay warm! I have never made homemade granola but I want to try your recipe. I loooovee granola. So good! That pizza looks amazing also! Glad you had a nice weekend and it sounds like you got in some good workouts! Nice to hear about your great weekend! Mine was pretty great too. Got to spend time with some old friends, and get to know some new ones. Yesterday I traded a little effort in the kitchen for a lot of yumminess in my lunches this week: I made pumpkin-spiced roasted chickpeas and sesame-maple-ginger baked tofu and roasted beets to throw on big salads with lots of colorful veggies. Can’t wait to eat my lunch today! So glad you had a great weekend! The the post, you look cute in the hats. Thanks for visiting my site. I love homemade granola. 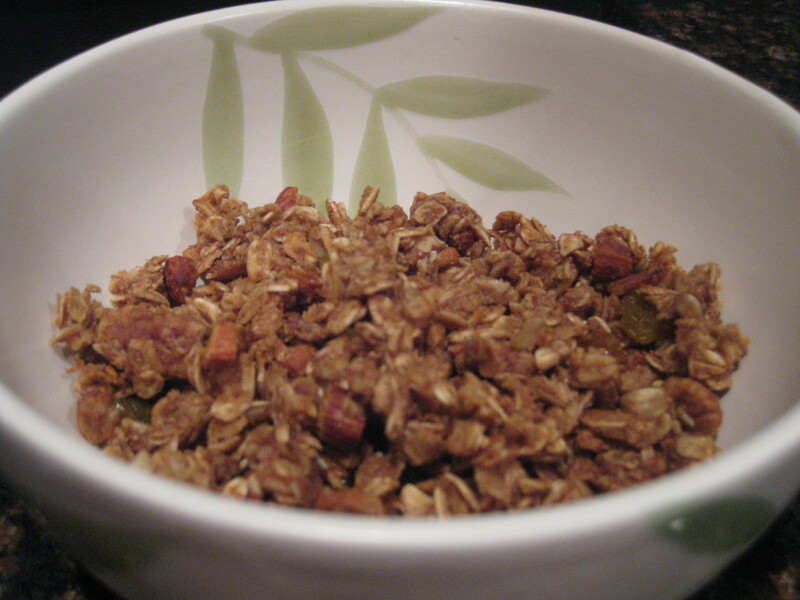 I have made granola before – I used the crockpot ladies crockpot granola! I tried a new tea this weekend does that count? And I would laugh – I would LOVE to say I wouldn’t but my husband and I saw a guy AT THE MALL with a Russian hat on and I was laughing at him! Love the hat! The pizza looks so fancy! Great job. Cheese and Shrimp-Stuffed Poblanos! Woah! Sounds amazing! I LOVE the russian hats! I wouldn’t laugh at the Russian hats-they look so warm! And as always Lily stole my heart! I have NEVER made homemade granola. I keep meaning to and just never get to it. I love that you went out in the russian hats – why not right? I love making granola and yours looks soooo good! You look so cute in your hats – hey, whatever keeps you warm! I wouldn’t laugh at the hats – I would be jealous. I want one to keep me warm!! I am ready for the next weekend and its only Monday..
awesome dishes!! I actually just saw those stuffed poblano peppers in the cooking light mag and thought they looked so good! I love your granola recipe too. Sounds really tasty. I gotta try making my own! Weekend was really good! Ive been on a zucchini pasta kick so been making alot of that. Great job on your runs too!! You were one busy cooker! I have made my own granola! Homemade is sooooo much better tasting that store bought. It’s just fresher. Plus, you get to choose the ingredients! Too cute on the dog walk. The granola looks awesome. And wow does that pizza look good. if we get stationed at Italy I will probably gain so much weight. I will definitely try the boys out on that granola; it looks great. The three of you look quite the sight. Have you, Mark & Lily adopted the pleasantly disfunctional lifestyle? I have never made granola because I’m afraid I wouldn’t be able to stop eating it. Everything looks delicious! I should totally make Granola! Looks so good! And when I see passerbys wearing russian hats, I wish I had one myself. So freaking cold here, too! Your posts are so lively and filled with information! Yes, I have made homemade granola….beats the heck out of the store bought ones. 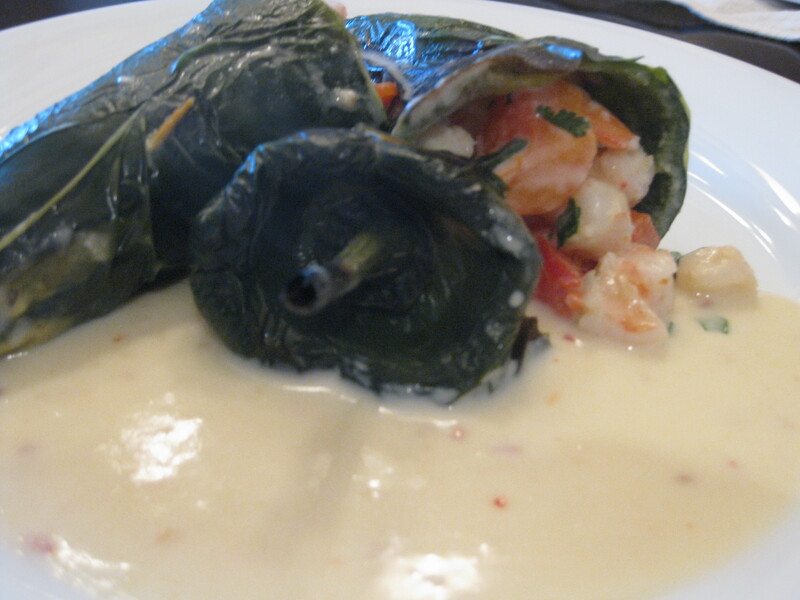 Great recipe here for the Cheese and Shrimp-Stuffed Poblanos. I am thrilled that you use all ingredients in your healthy cooking: cheeses, 1/2 & 1/2 etc. So many people think it is bad to include these fats as part of their balanced diet…..they go with the overly processed “dairy” products that have no flavor and are filled with chemicals. When you use the real stuff a little goes a long way! You guys are adorable in your hats!! Such a cute couple, and your puppy dog is precious! !